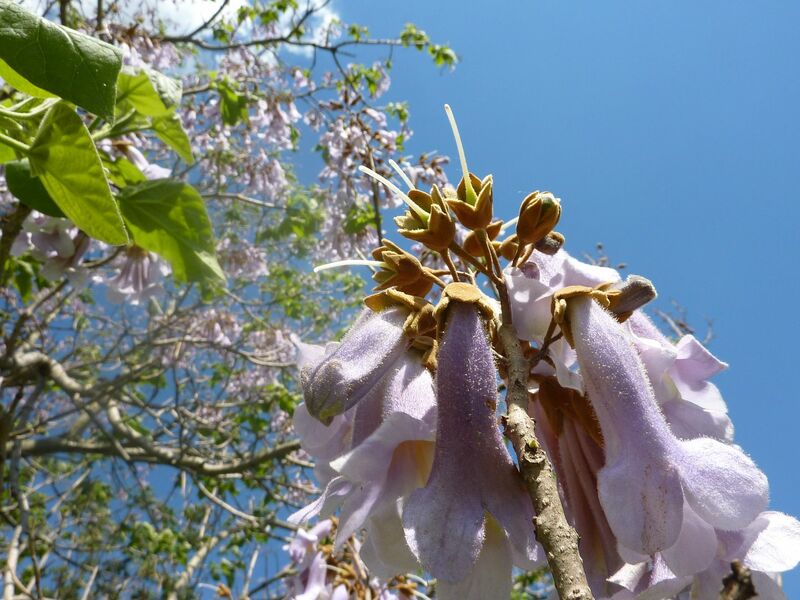 This ugly thing is called a Princess Tree, Paulownia tomentosa. This is one of those nonnative catalog trees they sell on infomercials and advertise how beautiful it is. To be fair they are pretty when pruned correctly. When allowed to grow in the wild on their own though they look more as in the photo above, twisted and bare. I will admit that they stand out in a line up. But the real problem is the reason why people buy them in the first place. 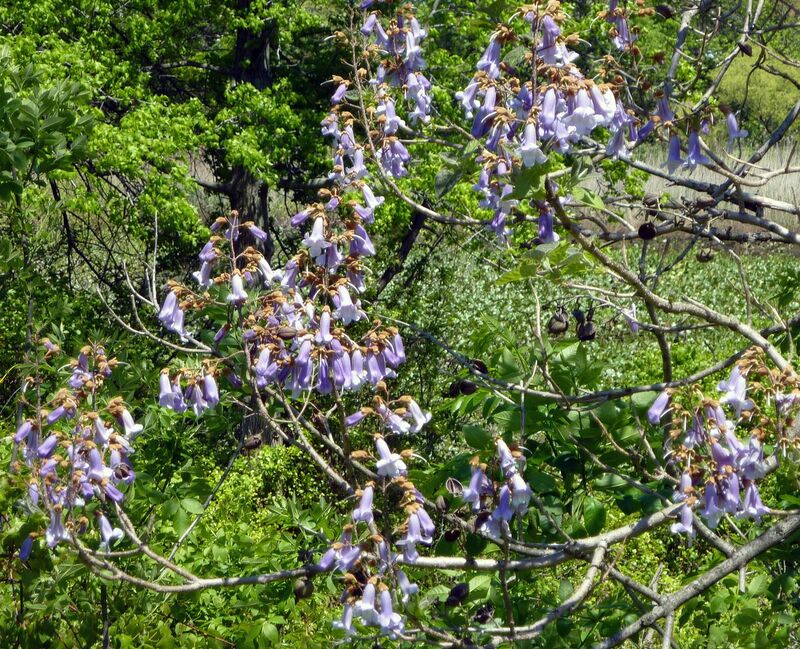 The large bell shaped flowers emerge out of brown pods. 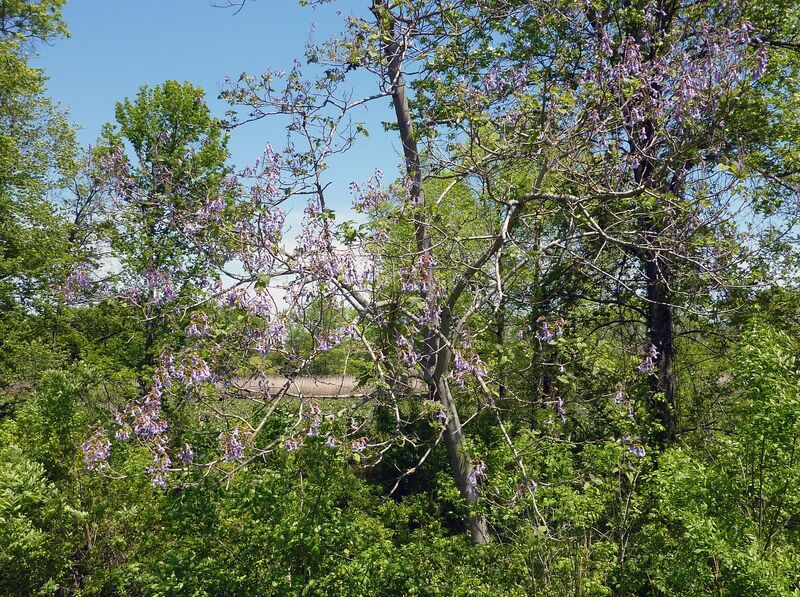 There is no otherwise no foliate on the tree until it's done flowering. This tree only works when it has a nice shape and a backdrop of foliage to fool the mind and fill in the bare spots. Supposedly the flowers are fragrant but I didn't smell anything. It's faint if there at all.